Her research is principally in the area of Malaysian legal and political history; human rights institutions and practices in the Asia-Pacific Region; and the intersection of gender, society, religion and the law (with particular reference to Malaysia). 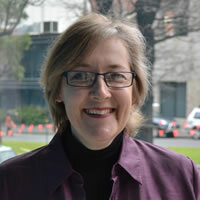 Amanda completed her honours degree in Arts at the University of Melbourne in 1981 and then taught seventeenth and eighteenth century history at the University's History Department over the next decade. She also has a Diploma of Education (1988) and a Graduate Diploma of Indonesian (1995) which was partly undertaken at Universitas Kristen Satya Wacana, Indonesia. She completed her LL.B. with First Class Honours in 2001 and in 2007 she completed her doctorate - a feminist analysis of mid seventeenth-century English legal and political history. Her book Women and Petitioning in the Seventeenth-Century English Revolution: Deference, Difference and Dissent was published by Brepols Publishers in 2015. She is the author of scholarly articles, book chapters and media commentary about Malaysian law, society and history, dealing with the history and current struggles of the legal profession; human rights institutions and practices; the uncomfortable fit of women’s rights, human rights and development; and the colliding and conflicting understandings of secular and religious law. She is the co-editor (with Carolyn Evans) of Mixed Blessings:Laws, Religions and Women's Rights in the Asia Pacific Region (Leiden: Martinus Nijhoff, 2006); and (with Andrew Kenyon andTim Marjoribanks) of Democracy, Media and Law in Malaysia and Singapore: A Space for Speech (Routledge, 2014). Between 2009-2012, Amanda was the recipient of an Australian Research Council Post-doctoral Fellowship for the project “Lawyers, Civil Society and the State in Post-colonial Malaysia”. Arising from that research she is currently writing a history of the legal profession in Malaysia, focusing on its role as defender of the rule of law.